Monarch Air Group provides private air charter in Cape Coral, FL. Our clients benefit from top-notch service, unrelenting dedication to safety, wide selection of aircraft, and years of experience in chartering private jets. To obtain a free quote, please use our online quoting tool provided below, or call toll free 1-877-281-3051. Monarch Air Group provides private jet charter flights in and out of Cape Coral, Florida, USA. Nicknamed “Waterfront Wonderland”, Cape Coral is a resort city in southwestern Florida, near the mouth of the Caloosahatchee River, southwest of Fort Myers. The population of the city is about 154,305 people. With a total area of 120 square miles, it is the largest city between Miami and Tampa. The city’s economy is mainly based on health care, local government services, retail and real estate/construction. The most popular attractions include Sun Splash Family Waterpark, Cape Coral Yacht Club, Mike Greenwell’s Bat-A-Ball & Family Fun Park, Palmetto-Pine Country Club, Cape Coral Historical Museum, HeadPinz Family Entertainment Center, and much more. The nearest airports are Southwest Florida International Airport (RSW / KRSW), which is located 14 miles from the city, and Charlotte County Airport (PGD / KPGD), which is located 30 miles from Cape Coral. 1. APF, Naples, Naples, United States. 2. FMY, Page Field, Fort Myers, United States. 3. IMM, Immokalee, Immokalee, United States. 4. MRK, Marco Island, Marco Island, United States. 5. PGD, Charlotte County, Punta Gorda, United States. 6. RSW, Southwest Florida Reg, Fort Myers, United States. 7. RTD, Rotunda, Rotunda, United States. 8. SRQ, Sarasota-Bradenton International Airport, Sarasota, FL, United States. 9. VNC, Venice Municipal, Venice, FL, United States. 1. Hideaway Waterfront Resort & Hotel, 4601 Southeast 5th Avenue, Cape Coral. 2. Marina Village Resort, 5951 Silver King Boulevard, Cape Coral, FL 33914. 3. Hideaway Waterfront Resort & Hotel, 4601 Southeast 5th Avenue, Cape Coral. 4. Marina Village Resort, 5951 Silver King Boulevard, Cape Coral, FL 33914. 5. Hideaway Waterfront Resort & Hotel, 4601 Southeast 5th Avenue, Cape Coral. 6. Marina Village Resort, 5951 Silver King Boulevard, Cape Coral, FL 33914. 7. Hideaway Waterfront Resort & Hotel, 4601 Southeast 5th Avenue, Cape Coral. 8. 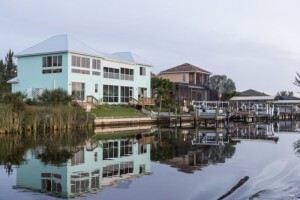 Marina Village Resort, 5951 Silver King Boulevard, Cape Coral, FL 33914.